If old barns could only talk, just think of all the tales that could be told and all the memories shared. Children playing, horses being fed, and all the hay being tossed into and out of the loft. 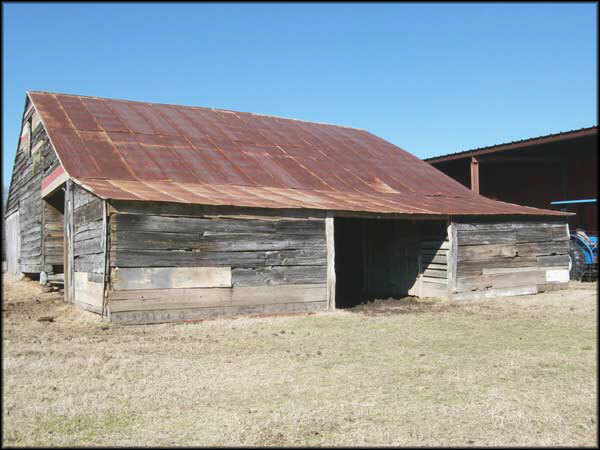 This is the old barn that is currently on our property. I do not know the year that it was built. I do know the old house that I will be posting about later was built in 1856. This barn is still standing and is in reasonably good working order. We use it mostly today for storage. 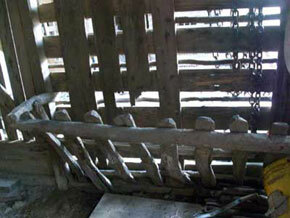 It has 2 wooden cribs which were used for storing saddles, harnesses, feed, and other equipment. 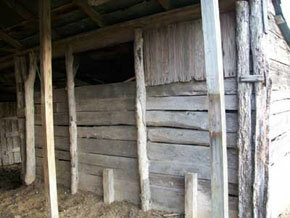 It also has 4 stalls which were used for feeding horses. I have been told that people traveling from one town to another used this place as an overnight stop to rest, and also to feed and rest their horses. 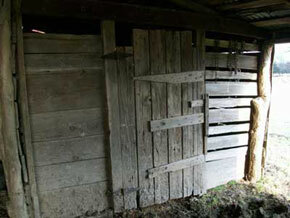 These are pictures from inside the old barn. 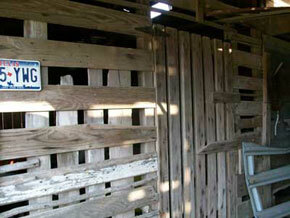 Most of it is made of old or rough lumber. They used both large rocks and tree stumps for the foundation. Bois d’arc (bodark) post were used as supports. 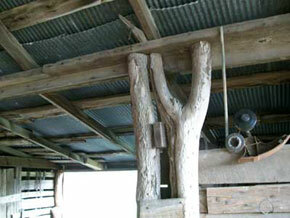 Some of the feed troughs were made from split trees. 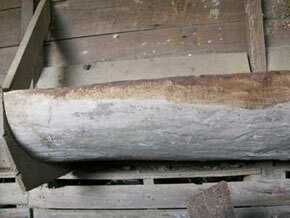 The last picture shows the feed trough, which was made from hollowing out a large tree. It is about 6 feet long. It must have taken many hands to get this trough installed. Thank’s for stopping by for a visit! 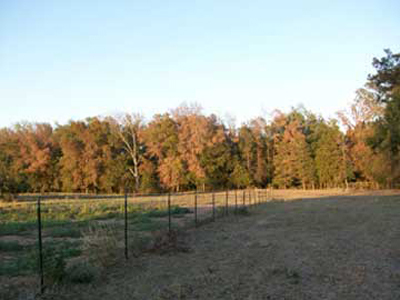 This entry was posted in Farm & Ranch, Old Barn and tagged barn, farm, old barns, ranch on Tuesday, March 8, 2011 by Betty.